Visitors were invited to drop their business cards into a box on the Help Desk to take part in a prize draw. 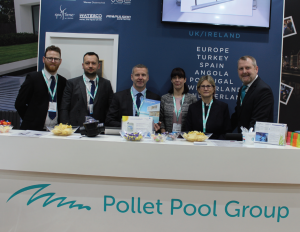 The winners were Graham Beddis has won two tickets to the Bon Jovi concert at the Ricoh Arena on June 23rd 2019 and Graeme Wilson a couple’s night away at a DoubleTree Hilton. Congratulations also go to the lucky winners of a daily raffle prize who each received a pair of Apple AirPods. 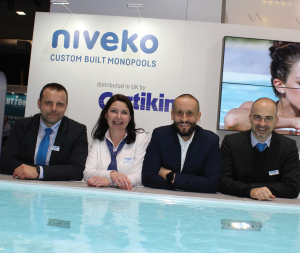 They were Richard Tucker of Pentagon Tiles, John Barnwell of Pool & Spa Centre and Charlotte Hotchin of Rotospa The 24th SPATEX, returns to the Ricoh Arena, Coventry, from Tuesday 28th to Thursday 30th January, 2020.